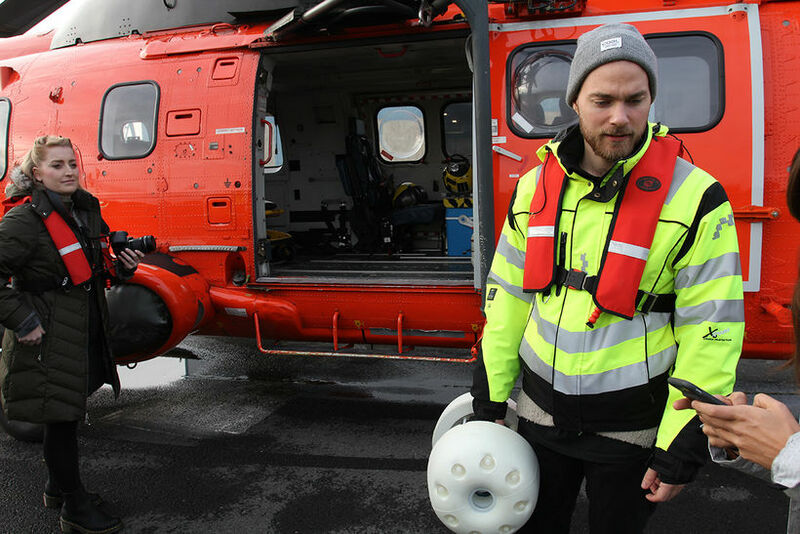 A unique copy of a vinyl record by Icelandic songwriter and musician Ásgeir is now floating somewhere in the North Atlantic Iceland off the coast of Iceland. The one-of-a-kind 7" vinyl record is enclosed in a specially made "bottle" and was dropped from helicopter into the ocean from a helicopter about 40 km off the coast of Reykjanes, South-West Iceland. The project is meant to create awareness about the impact of waste and pollution in the oceans. 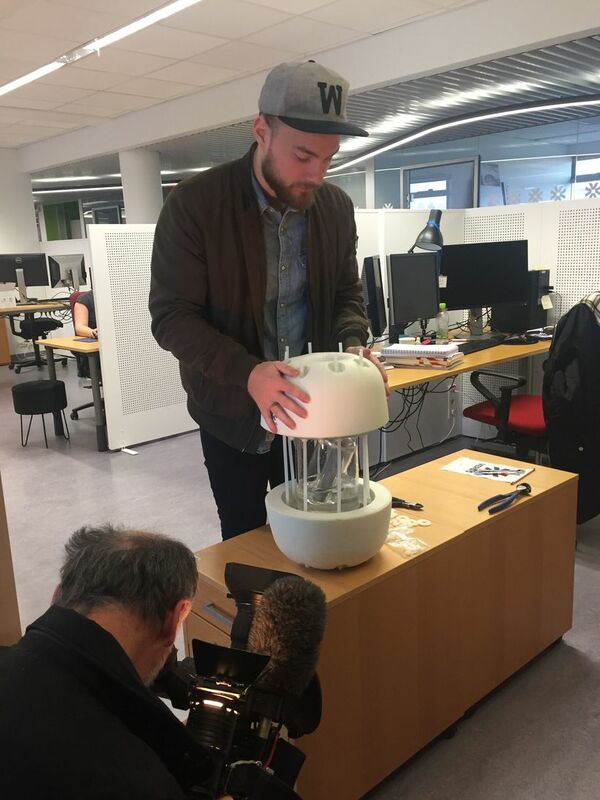 The musician teamed up with Icelandic engineering firm Verkís, scientist Ævar vísindamaður, and the Icelandic National Broadcasting Service to execute the project. Earlier this year, Ásgeir recorded 30 unique 7" vinyls in a 24 hour straight-to-vinyl recording marathon, broadcasted live in TV in Iceland and on his YouTube channel. In the past few weeks. Ásgeir's fans around the world have had a chance to get their hands on those vinyl records by participating in treasure hunts that have taken place in various locations, according to a statement by the musician. The treasure hunt comes to a close with this "Album in a Bottle" project. The Bottle is equipped with a GPS receiver that transmits its location every four hours, enabling viewers to follow the bootle's journey across the ocean. The bottle's location can be seen on Verkí's website here. Ásgeir will perform at the Iceland Airwaves music festival tonight. His concert will take place at the Harpa concert hall in downtown Reykjavik.